Get Financed at Key Truck Sales in Columbus, Ohio! 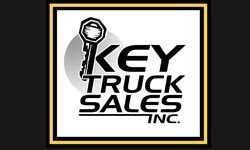 At Key Truck Sales Inc, we're experts at finding affordable credit terms. Whether your credit is perfect, or you're credit challenged, we can help. Just pick up the phone and give Mike a call to discuss your options. You'll like the no-bull way we do business. Call Today! (740) 369-0000 or toll-free at (866) 444-7776.